Suffolk & Norfolk Luxury Event Consultant and Wedding Planner, Karen Mhende isn’t just interested in planning weddings; she’s interested in creating world-class stories. From a very young age, she became interested in creating narratives through (very fictional) wedding planning- an obsessive pasttime which led to her writing for Creme De La Bride- The UK’s no1 Bridal Magazine for Brides of Colour. With that experience of designing stunning, timeless, and unique weddings, From Karen with Love was born. Researching, emailing, chasing, negotiating, organising, note-taking, call-making, procrastinating, panicking. These are some of the ‘ings’ that can slowly smother the excitement and the heart of wedding planning. 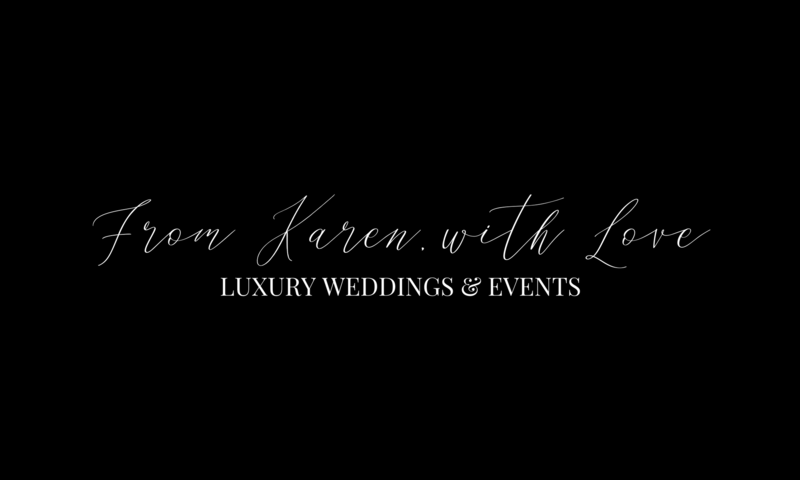 From Karen, with love events is here to take the pressure off your hands to allow couples to breathe, relax into the process, and keep at the forefront of their minds why they are getting married; that is what makes for your perfect day. So why don’t you stay a while, have a browse at the wedding and events services provided, and allow me to lend a helping hand.